The Replacement Window Industry is an easy target for scam artists because there are no regulations placed on the industry and it is easy for anyone to call themselves a window contractor. There are many tricks of the trade and window and siding contractors have replaced the old tin men of the aluminum siding era. By learning the most common Scams and Misconceptions listed below you can prevent yourself from gettingRipped Off by this type of contractor. Companies that call you or knock on your door trying to setup an appointment for an Estimate on Windows will tell you they are in the area giving Free Estimates, they are trying to appeal to your impulsiveness to get an appointment and chances are you will not get the best deal. These type of companies depend on you not shopping around and not doing your homework. Salespeople are trained for a “One Night Close.” If you agree to this type of appointment, be prepared to get harassed by a skilled salesman for 2-3 hours before they will leave. Don't Assume a Low Bid Is a Bargain. The lowest bidders are usually the ones that have the most complaints and will be out of business when you need them in the future. A perfect example of this is the $189 or $199 window ads. The problem with these type of ads are; if you read the fine print closely, the window is for a window up to 73 united inches. What people don’t understand is that windows are sized based on the united inch; that is the height plus the width, therefore a 73 united inch window is very small. This type of advertising is called “bait & switch.” Typically the company will come in with an extremely low offer in their ad and then will add on different costs to give you a window that will fit into your opening or to install the window properly. You can’t get a replacement window installed properly by a reputable company for $189 a window. Trade-In Special - The $110 Super Sale. The deception here is to hope when the ad is seen; the consumer thinks the windows are only $110. The same deception here also lies with the “Save $99 per window” sale. Face it Folks! You always get what you pay for. If something looks too good to be true, it probably is. Also, beware of all the“Financing Offers.”The bigger companies with the high-pressured salespeople always offer to finance with deferred or low monthly payments. Big Rip Off! Everything is built into the sale; high-interest rates, points, deferred payments, etc. Go to your bank or credit union and get your own financing. If you can’t afford it, wait till you can…but don’t fall for financing that accepts poor credit and no equity because you are going to overpay for the product, and the financing terms will be unfavorable. Chances are the company will try to have you consolidate other bills too. This seems attractive in the short run but will cost more over time, guaranteed. Any tactic that requires you to make a large financial decision that day with NO TIME to think about it or compare products and their different values should not be considered. You cannot make an intelligent decision while under pressure. REMEMBER! The salesman’s job is to get the order processed that night. They will try to appeal to your sense of greed and urgency that you will lose something if you don’t make the decision now! BS, if it’s good today, it will be good tomorrow. Believe me, We all want your business and there is not a company out there that won’t cut the same deal with you if you call them back in a couple of days or next week. Take all the time you need to evaluate the company and products before you make a decision. When a company is willing to offer a large discount; “The Drop”…BEWARE! How honest is that company if they could offer thousands off the actual price? Why didn’t they quote you that lower price to begin with? And if you agreed to the higher price…would they have told you about the discount? Companies that use this technique have one or two drops already built into the sales presentation so you feel like your getting a better deal. A company that quotes a price and is firm with it or negotiates slightly, is likely to be more credible than others. The salesman will then put you on a phone with his highly skilled sales manager so he can beat you up some more and offer you the one-time deal of the century. This is usually the final drop in the home, but rests assure someone will call you in a couple days and attempt a re-hash of the sale. You have to remember, salespeople don’t get paid unless they SELL. There’s nothing wrong with that and there are plenty of salespeople who really care about the customer, but many are trained by less scrupulous people and will do anything to get the sale. A trained salesperson will try to pin you down as to why you are not buying today and will do everything possible to rebut all your objections so you have to say “YES” or look like your lying. This can be a very uncomfortable situation and make you feel like you’re being interrogated. end of the presentation or say something like, “If I can show you a product you will like; that will solve your problem and make it affordable to you, are you able to make a decision today?” Tell the salesperson that you understand he is here to sell you windows and that you will evaluate everything he is telling you. Let him know you are getting estimates and you would like to take time to consider the offer. If they need to have an answer today, they shouldn’t waste their time or yours. You need time to gather estimates and evaluate other contractors. 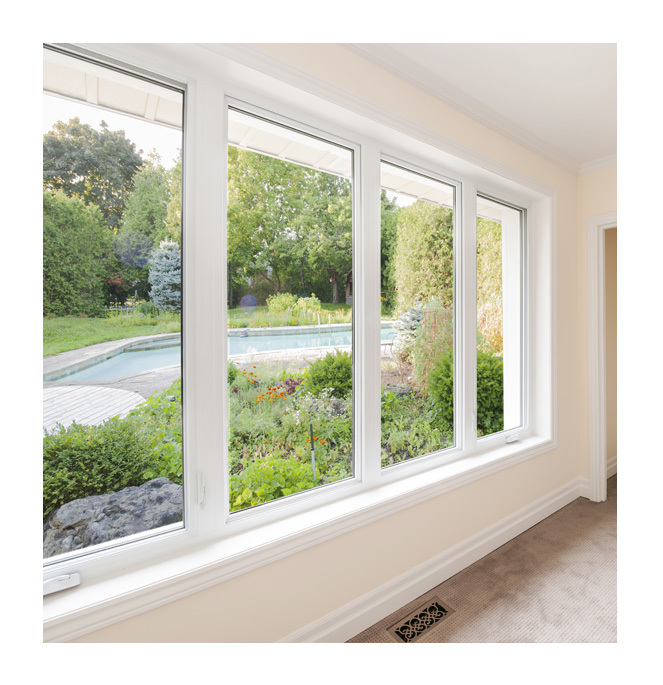 You Can Trust Your Home To The Window King At The Window King, we don’t use the type of high-pressure sales tactics or advertising scams that many of our competitors use. Our family is dedicated to providing you with a straightforward estimate without any games. Our pricing is fair and our quality is second to none. Check out our Angieslist Reviews to see what our many satisfied costumers are saying.